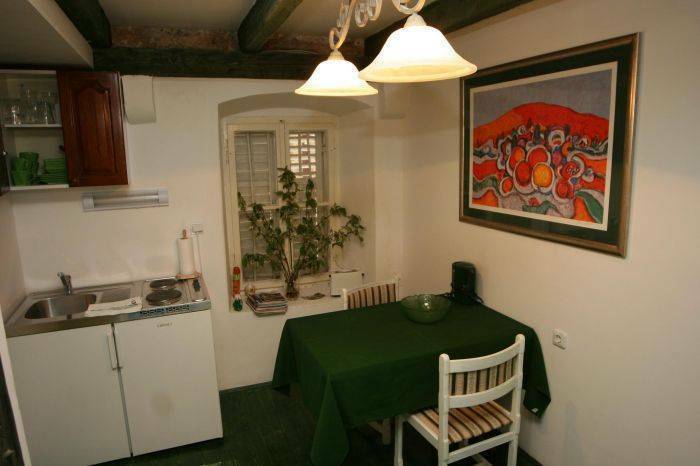 Welcome to a newly renovated apartment situated in the heart of the Old City, on a very quiet location. 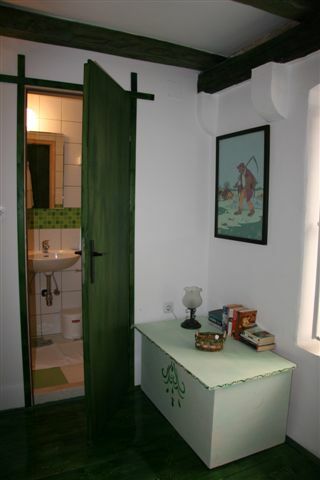 Beautiful recently renovated studio apartment with a lot of charm and caracter situated in the heart of the Old City. 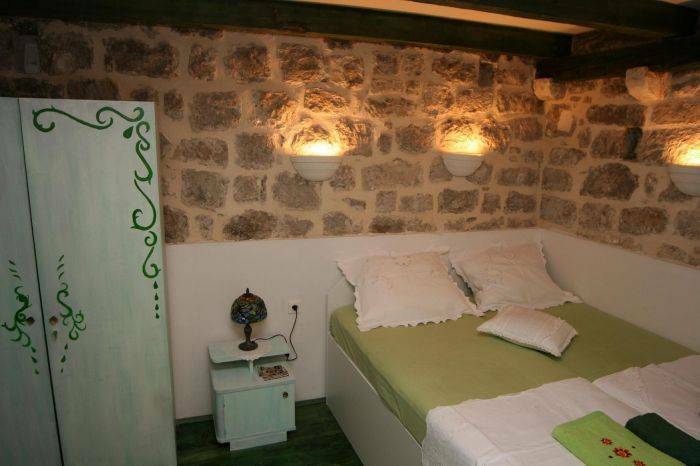 Only minutes away from everything you may desire on your holiday, and just 35 metres from the famous Buza beach bar. Apartment is decorated with original art work from locally acknowledged artists. It has a bedroom, bathroom with shower and a kitchen with a dining table. 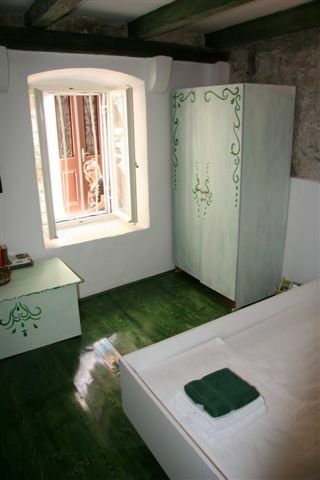 It is an apartment with two bedrooms, one twin one double, with two on-suite bathrooms to accomodate 4. There is a possibility of the fifth bed or baby cot. We are where it is best to be in the hot summer mounths. 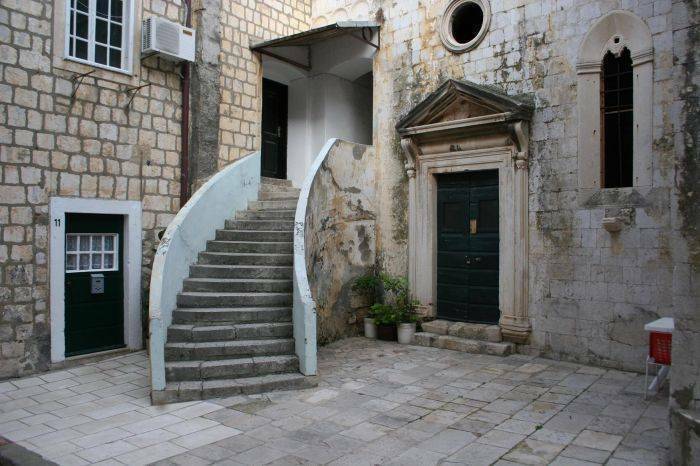 Situated in the heart of the Old City on a perfectly quiet spot by the small secluded almost privat square, and only a few steps away from the main street of Dubrovnik with all its lovely restaurants and cafes, shops and art galeries. If you take the street in the other direction within 40 meters you will find yourself on the famous Buza beach bar where you can swim, or read a book with a cold drink in your hand, and than later watch the best sunset in town and if you are a night pearson, music and summer breaze will make it the No1 place to be. Shingle beach is 3-4 minutes walk, ferry to Lokrum and Cavtat 2-3 minutes away and everything else you might need is in that same distance. Payment of total amount upon arrival. In case of cancellation deposits are not refunded.